What is Ecom Cash Crusher all about? Can you make money with a drop shipping store? How about a business model that you can start for absolutely no money? can get set up today, in under 5 minutes. Watch the software demo to see exactly what I mean. Really? Setup in 5 minutes and work 23 minutes a day to make 2 grand? If that is the case, then I’m in! However, let’s not too excited about this, I review a lot of “make money online” systems, and this one sounds a little too good to be true. First thing first. I will watch the sales video tell you all about it in my review. However, if you are here because you need a real method of making money, you should check out my method and how I make money online. It’s NOT a “get-rich-quick” method either! Well, the sales page is a typical ClickBank sales page. There are some red flags right at the beginning. 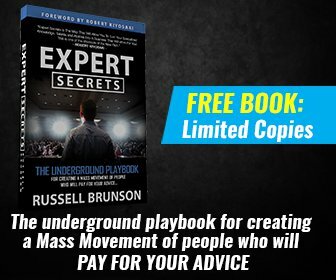 It is “an incredible and revolutionary new system and our members raking up to $40,000 every single month and what’s even more surprising is that you don’t need any particular skill or specialist qualifications to make money”. Then there is this guy that says that he has made $100,000 in profits in his first 2 months, but again “Fiverr actor”!!! And you have this gentleman saying he had no experience whatsoever but made $800 in his first 3 hours!!!! This is what I don’t get! If this was such an incredible opportunity, why would the “owner” of this system hire actors to tell fake stories, that are pure lies! And of course, the hype! Right after the fake testimonies, you have the usual hyped-up money claims! Here is a screenshot of the sales video showing David Anderson’s “bank account” with over 1.2 million dollars in it. I believe this is also pure B.S. – This could have easily been created with a photoshop software! Another red flag! Then we finally hear about who’s behind this system. We saw in the “bank screenshot” his name and he introduces himself as David in the sales video. “David Anderson” the supposed owner (I haven’t found anything anywhere about this guy that could verify he’s the owner of this product, so it’s probably a pen name), has had a sad story about how his father died when he was young and he had to support his family. These stories are all about prying on people’s emotions and get them involved personally with their own stories. Believe me, David is just a fragment of the real owner’s imagination. So enough about the “fluff”. Let’s see what this system is really about. Tired of wasting your time trying to find a real method of earning online? The money-making “secret” you will get if you buy this product is actually not a secret at all. It’s dropshipping with a Shopify store. This business model is a way of selling a physical product without actually having to hold any inventory. What you have to do is create a partnership with some product wholesaler, and when someone buys the product through your Shopify store, the wholesaler supplies the merchandise directly to the customer, and bills you. You make the sale and the profit from the sale is yours to keep. So let’s see how we are going to make “$2,000 per day working 23 minutes a day” like I was told. What you get for $37 (without buying the numerous upsells before getting there) is video training and PDF’s. Here’s a look at the member’s area. The first thing I noticed is that, like a lot of ClickBank’s products, they offer you a “free commission website”. The thing about this is that first of all, “Optimal Hosting” is no longer in business, which is a clear indicator that this system is just a rehashed funnel and that this “free offer” was to get more affiliate commissions to the owner. Oh, and there is NO WAY that it’s worth $2,995! I tried to reach optimalhosting.com and got the screenshot below. And when I clicked on optmialhosting.net I was redirected to a “suspended account” page. Then there is a second funnel to John Crestani’s webinar, which in this case is real but also very popular in these kinds of ClickBank’s systems. I have reviewed John’s “Super Affiliate System”, and it is worth the try if you have money! As you can see, you will get something for your money. Inside each of those modules are video training, and PDFs workbooks on how to create and set up your Shopify Store. READ Money Looper [Review] - make money within 8 minutes? I will not go into details here, but I did find that there is good information in them and it’s probably worth $37. However, you can also find a lot of similar products on sites like Udemy and probably for a little cheaper. One thing I like about this system is “Goal Setting”. This is not contained in a lot of products I review and it is what anyone should start with anything that they are doing. The short answer is Yes! However, you will have to learn the ropes about this business model, and you will have to make significant investments to make it profitable. And how are you going to get the traffic to your store? You can either get it for free by using SEO, and this will take time and a lot of work to get you on the search engines top pages. 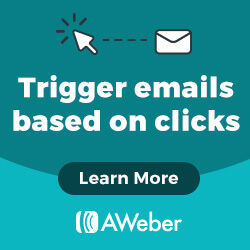 Or you can buy it, by using all of the different methods of paid traffic, like Solo ads and PPC, but this could end up costing you a little fortune. Both methods work! But they have to be mastered by you the user to be efficient. Whether it is a Shopify e-commerce, Affiliate Marketing, Network Marketing or any kind of business for that matter, there is no way that someone just starting out will make the kind of money they claim you will make. ALL of this is without mentioning the fact that you will have to create a website, find products to sell, add the products to your website, write product descriptions, research products and suppliers, have some kind of customer support too. So, if we think back about the “sales pitch” from my email, I really doubt that someone could do all of this with just 23 minutes of work per day! But to be “fair”, this system (Or maybe we should call it a “training” because that is really what it is, a training!) will show you how to set up your Shopify store and will also show you how to promote it with solo ads, Facebook and YouTube. You do get some videos and PDF’s for your money. Make a ton of money with hardly any work! Fake owner or we should say that the real owner is not showing his face anywhere! The main issue I have with this product is the fact that they claim that you will make thousands of dollars right off the gate, which is simply not realistic! This level of deception is what makes me say that they are just fluffing things up just to get you in and get your credit card number. Then they hit you with numerous upsells. I am not saying that what they offer with their system is not worth the initial $37 and I am not discrediting the videos and/or the PDF workbooks. But the method of selling their system really unethical! Plus the fact you are hit with upsells right away, to me that is saying that the original system is not enough in their point of view, even though they claim it is in their sales pitch. Is it a scam? Well, no it’s not a scam. The definition of a scam is someone or some fraudulent business or scheme that takes money or other goods from an unsuspecting person. In this case, because you are getting a product for your money and you are able to get your money back if you are not satisfied, we cannot classify it as a scam. Is it worth $37? I guess so. But that is my own personal opinion. I will leave this decision to you. If you do decide to try it, be prepared to put in a lot of money and a lot more time than they say you need to put in. What if I told you that you could start your own online business for absolutely no money down. If you are on this page today, it’s because you are looking for a way to make legit money online. Like you, a few years ago, I was searching for a way to earn online. During my search, I ended up on a training platform that teaches affiliate marketing. Unlike e-commerce stores, with affiliate marketing, your major task is to promote other people’s product or services, to include an affiliate link to that product, and drive traffic to your website. Once you get a buyer to click on your offer and they purchase the item or the product, you get a commission. There is no inventory and no product to create or buy. Like I said earlier, you can start your own online business for FREE. There are no obligations whatsoever! If you decide it’s not for you, you can walk away without having to request a refund, there is no credit card required to access this platform. They will even provide you with 2 (two) FREE websites that are yours to keep, and 10 video lessons to get you going! I also wrote an e-book called “Work Online From Home And Make Real Money” and I am giving it away for FREE. Click on the e-book below and get your free copy today! How did I find out that this is a website that should be considered to be a false deception? To me, it is a very good lesson that I learned from you and now I will be prepared in the future. I have a question for you. How do I know when a website may be a scam or a fake so that we may be aware of these fake and false promises and we do not become their victims in the future and lose money and time? Great question. You have to realize that when it sounds too good to be true, well it usually is, and that is the first thing you must consider when looking up any kind of systems that promise you to be rich overnight. There are tons of systems like this one and you must first do your due diligence and find out if they are legit or not. Most of the time they are fake. There are more fake programs than there are real ones. I suggest that you check out the platform I recommend in my article, that one is REAL and I guarantee that there is nothing fake. Its a community of real people! 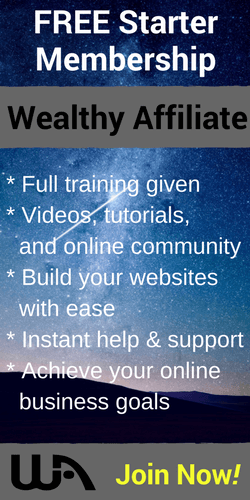 Wealthy Affiliate is how I make money online and I recommend it to anyone looking for a real way of succeeding with their online businesses! Thank for taking your precious time to write this eCom Cash Crusher review. I would say this is their modus operandi to lure you into their sale funnel by offering low price frontend product and immediately they bombard you with high price upsell. Further, there are red flags found in their sale page and you have done a job identifying them. Once again, thank you very much for alerting us about eCom Cash Crusher. Hi, and thanks for stopping by and commenting on my article. Yes, there are multiple red flags and I try and expose these kinds of systems for what they really are! You would be better off with a real platform like the one I recommend. Wealthy Affiliate is real, nothing fake about it! Hello, thanks for writing this review of ecom cash crusher. I am so tired of hearing of these scams and something should be done to prevent them from opening sites to defraud people. The internet should be a great place for everyone to make money. Reviews of these kinds of sites are great and a wonderful way to prevent people from falling for them. Thanks again. Unfortunately, there is nothing that can be done except expose them to people that take the time to do some research before they click and buy! And I am grateful that you have checked out my review before you bought it. I suggest that you take a look at my recommendation, Wealthy Affiliate is a great platform that is not a scam and does not ask for money for you to try it.